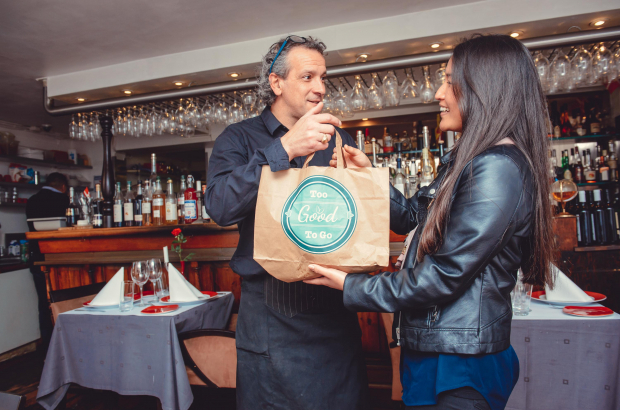 There’s a new app on Brussels’ food scene: Too Good to Go offers leftovers from restaurants that would otherwise go in the trash to consumers at major discounts. The food is guaranteed to be edible but cannot be used the next day, perhaps because the menu will change or simply because the restaurant isn’t open the next day. The app, developed in Denmark, is already available in seven other countries, including the UK and Germany. It broke into Belgium a few months ago and has finally arrived in Brussels. Fifty restaurants in the capital have signed up for the app, which offers food to-go only. Some of them, like Exki and Foodmaker, have pre-packaged food that must be sold by the expiration date. Others, like l’Atelier in the Schuman area and Boco on Avenue Louise are just trying to cut down on food waste. Users log in, check what’s on offer and for how much and then arrange to pick up the meal from the restaurant. One rule: Users must bring their own packaging. That prevents excess waste, which is what the app was developed to eliminate. The amount of the discount is up to the retailer, but it is often 50% or more.